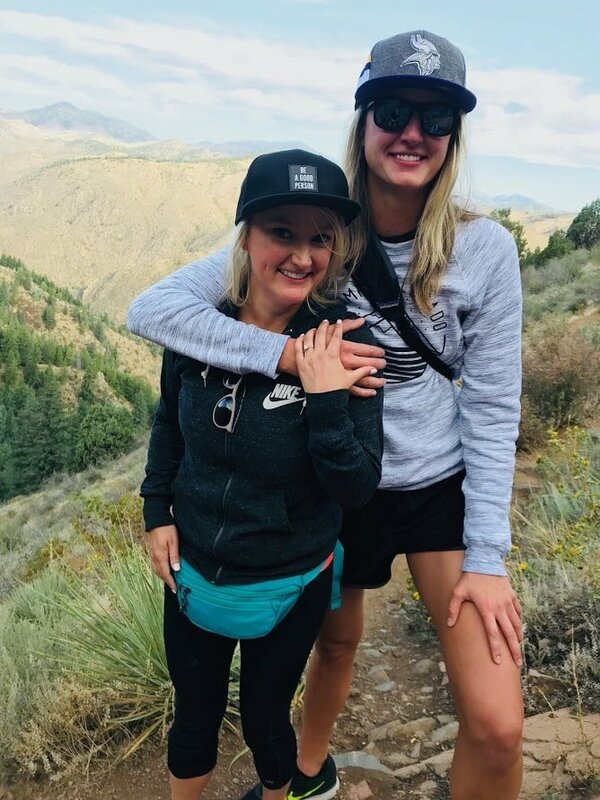 We got a hold of Chelsea and Ali, who met in 2016 while at a Colorado Rockies game, to get an inside look at the special moments that brought them together. The moment I knew she was the one hit me when I saw her hold her friend’s baby on one of our trips back to the midwest. I took a picture of her, and I had a vision in my head of our family one day. I cried a little bit. We had spent that weekend with her family too, and they are so wonderful to be around, and I can’t wait till we get to have our own family. Oh what a plan and hard surprise to keep! 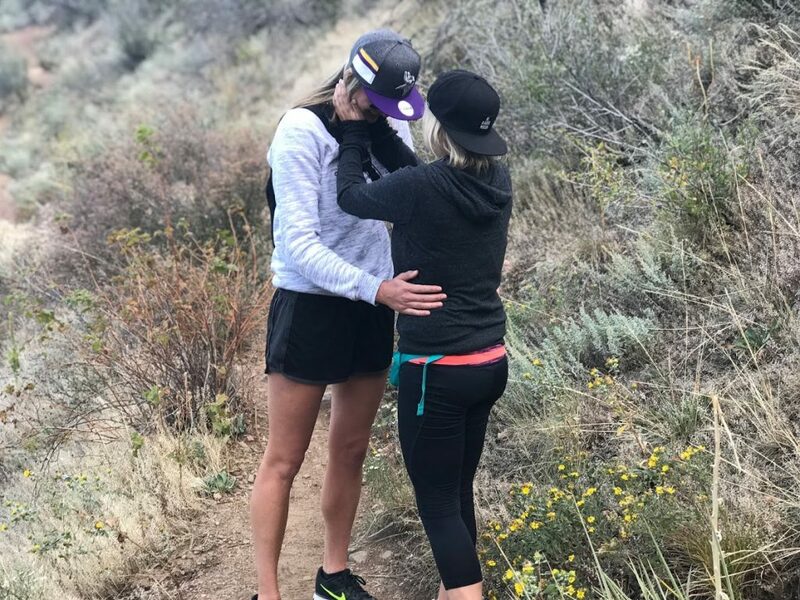 I coordinated with her sister and niece and one of our best friends to go hiking. We wanted to go back to the first hike we ever took together, Lookout Mountain / Beaver Brook Trail. The weather was perfect, the sky was perfect, the view was perfect, but most of all, she’s my perfect. Once we rounded the corner where the mountain just opens up, I knew it was time. I hugged her, lost it, literally couldn’t speak. Told her I loved her with my whole heart and that I wanted to spend the rest of my life with her. (I had this speech planned, but lets be honest, words. are. hard. when you go to propose!). I took the ring out, got on one knee, and to her complete surprise, asked her to spend the rest of her days with me. She said yes! We kissed, I just held the box like the ring was supposed to jump onto her finger. She said, Um, you’re supposed to put it on my finger! It was pretty funny. And we hiked back. We had brunch reservations at the Hornet, where our families and friends were waiting to congratulate us! That was also a successful surprise! The ring is a solitaire princess cut beautiful ring. Exactly what she wanted. The band is white gold. And the diamond is so sparkly! Every time I look at her hand, I just stare at the ring. It fits her personality, her hand, just everything about her. It is so pretty. She loves it. We are excited to start the journey of the rest of our lives together. We met through mutual friends while attending a Rockies baseball game in 2016. Later on we hung out at Swanky’s and the rest is history. 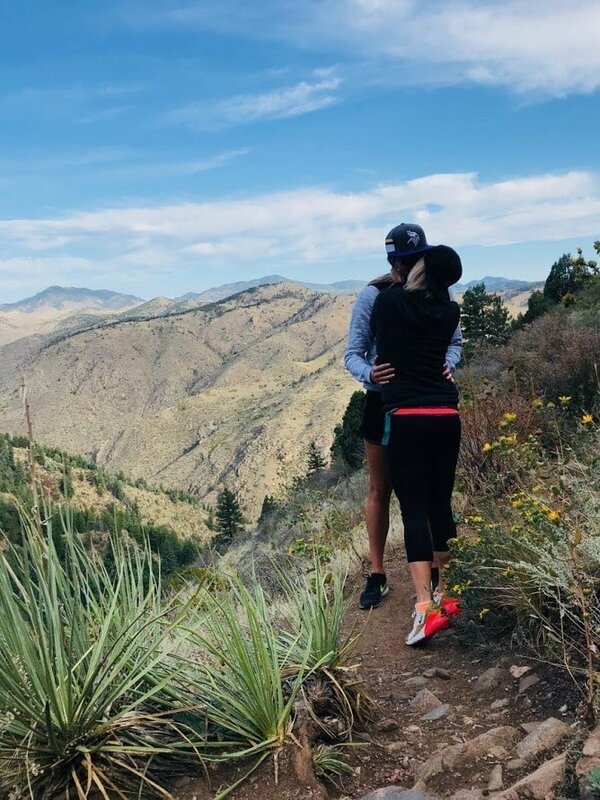 I knew she was the one when she was so utterly supportive of me while I was in Physician Assistant school and would go out of her way to make me feel supported, whether it was making me a meal, making me laugh, or drawing me a surprise bath with candles and flowers after a particularly hard day. Chelsea and I went on a hike, which-so-happened to be the first hike that we had ever gone on before together. The first time we went on this hike, we were just getting to know each other. Since that time, we have grown very close and it was fun to recall how nervous we were back on the first time we went through the hike and recognize how far we have come. At this point Chelsea slowed down and I thought she just needed a break for water as she got out her water bottle from her bag. 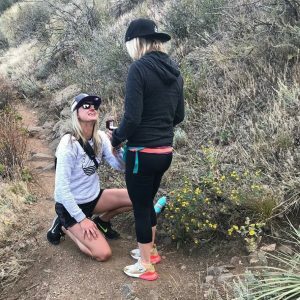 She then got on one knee and said she would like to spend forever with me before falling in to tears and unable to speak. I kissed her for comfort before she asked me to marry her. Of course, I said yes 🙂 Chelsea had friends and family awaiting us at brunch for a celebration following the proposal! I was thoroughly surprised all around. Beautiful! Absolutely perfect, could not have imagined anything better.